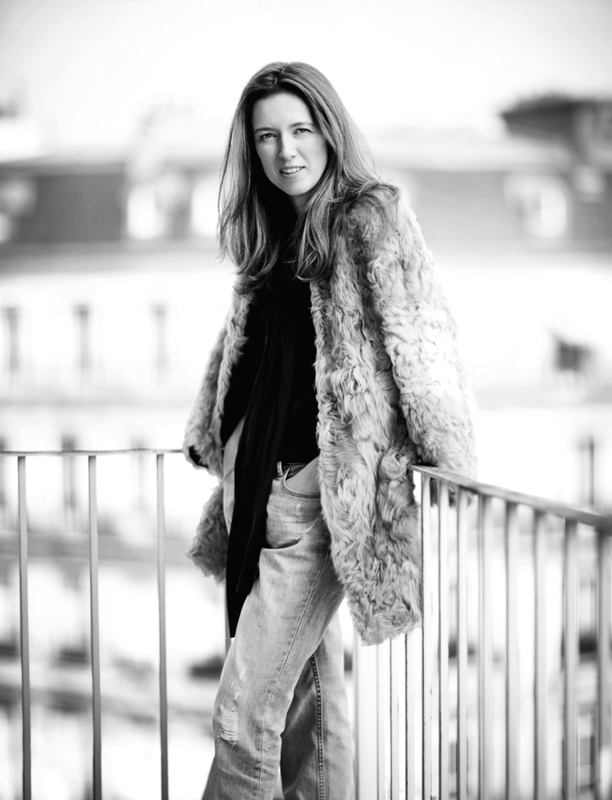 Whattya say we go into the weekend with a little "girl crush" action courtesy of the lovely, immensely talented and inspiring Clare Waight Keller? In the year since Ms. Waight Keller, formerly the designer of Pringle of Scotland, became the creative director at Chloé, many visitors have noted the remarkable calmness that radiates from her studio. That, and the fact that roughly 80 percent of the hundreds of employees at the company are women, which is a point of pride at a house that has projected an aura of femininity for 60 years. I am so lucky to have an amazing, supportive, inspiring husband and father. The men in my life are beyond stellar. But I only have sisters; I only have daughters; I rely on my own mother and my tribe of soul sisters like I rely on air. I am a woman's woman through and through. And, friends, as I get, ahem, older, I'm all about the calm. My 20s (and sadly a good chunk of my 30s) were tinged with a bit more intensity than I'd like to admit -- let's just say I had a hard time letting things go. So this current decade is about attempting to bring the calm (albeit a passionate calm, but a calm nonetheless). Thanks Clare for the reminder. Here's to all the calm (and not so calm) beautiful, amazing, awe-inspiring, supportive, inspiring women in my life. You know who you are. Lovely post, Joslyn. And can I add that I own the vintage version of her fur coat in that first picture. I paid $6 for it at the thrift store;) I think they thought it was faux!